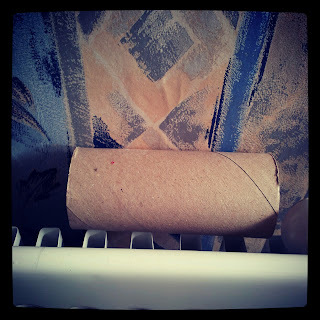 There are bins in both the upstairs and downstairs bathrooms so I often find myself wondering why I always find empty toilet rolls left on the holder, on the radiator and on the cistern! *grr*. It's almost as irritating as that sock you find just after switching on the washing machine! What is it with people and their inability to put things in the bin? I always put it in the bin but I hate changing over toilet rolls, I just can't be bothered! I do it because nobody else will but it annoys me!